So this fantastic Chinese Elm bonsai gift set not only looks fab but could be the start of a great new hobby. This set includes a styled bonsai tree, pruning scissors, feed and drip tray. 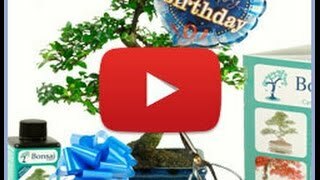 This is an absolutely stunning birthday bonsai kit - tailor made for Dad.